Critical security flaws in routers and cloud computing services offered by Asus put hundreds of thousands of customers at risk, the U.S. Federal Trade Commission has charged. Taiwan-based Asus has agreed to settle an FTC complaint that it failed to take reasonable steps to secure the software on its routers, the agency said Tuesday. In addition to well-documented vulnerabilities in the routers, its cloud services led to thousands of customers' storage devices being compromised and exposed their personal information, the agency said. The proposed settlement would require Asus to establish and maintain a comprehensive security program subject to independent audits for the next 20 years. The company didn't immediately respond to a request for a comment. Millions of consumers are connecting new Internet of Things smart devices to their home networks, and router security is important, Jessica Rich, director of the FTC's Bureau of Consumer Protection, said in a statement. "It's critical that companies like Asus put reasonable security in place to protect consumers," she said. Asus marketed its routers as including security features that could "protect computers from any unauthorized access, hacking, and virus attacks." But the company failed to address security flaws quickly and did not notify customers of the risks, the FTC charged. Hackers were able to exploit "pervasive security bugs" in the routers' Web-based control panel to change security settings without the owners' knowledge, the FTC said. Among other design flaws, the company set -- and users were allowed to retain -- the same default login credentials on every router: username "admin" and password "admin." The company's routers also featured the services AiCloud and AiDisk that allowed users to plug a USB hard drive into the router to create their own cloud storage service accessible from any of their other devices. Those services contained serious security flaws, including the ability for hackers to bypass the AiCloud login screen and gain access to a user's connected storage without any credentials, the FTC said. 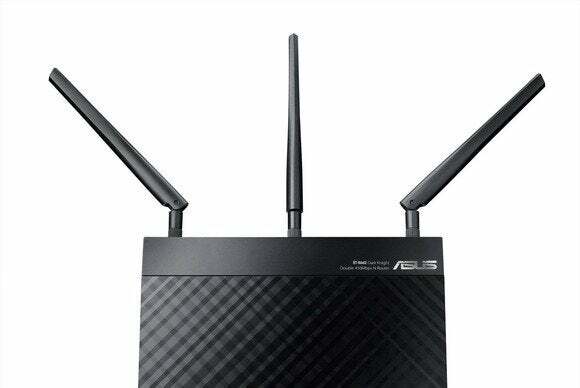 In February 2014, hackers used readily available tools to locate vulnerable Asus routers and gain access to more than 12,900 connected storage devices, the FTC said.